Well the proof, I let you find that out for yourself. I'm not talking about THE MESSIAH not existing here. But the name of Jesus is a 400 year old name, because the English language never had the letter "J" till then. This is very important, because it says in the Bible by one name only shall you be saved. So it becomes frightfully important. Because it is a recent name not known by THE ALMIGHTY. Then of the flip side of the subject, we have the Greek god Zeus who is a representation of The Devil. Here below is some information on the subject, but take into account no name beginning with the letter "J" can be attributed to THE ALMIGHTY. So the name Jehovah cannot be the name of THE ALMIGHTY of Jeshua. We have a clue to THE NAME OF THE ALMIGHTY, from the scripture and the word Hallelujah=HALLELUYAH which means Praise YAH, so YAH is is name. So what was the name of THE MESSIAH Yashua, Yesu, or YAHSHUA even because he came in his fathers name. I'm not sure but I am sure YAH would have been who the people in the old Testament prayed too and THE MESSIAH himself. Personally I pray to YAH in the name of your son YAHSHUA. Thank you please read on the following information it's very interesting. Defaming the Christ with a Pagan Name. Greek name that honors a pagan god. sanctified unity within the Word of YHWH is lost! -Is the name "Jesus" holy? 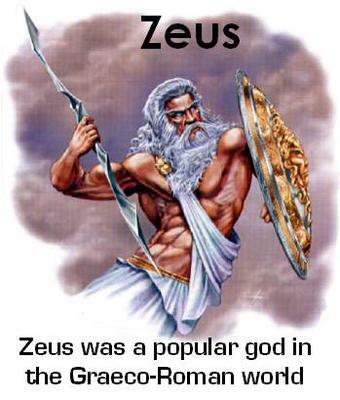 worshipped Zeus as the supreme deity. (hail Zeus), now known to us as Jesus." has been calling the Saviour by the wrong name!! and much has been said and done in that name." the New Faith - of the Roman Emperor. give honour to their supreme deity, Zeus." at that time. 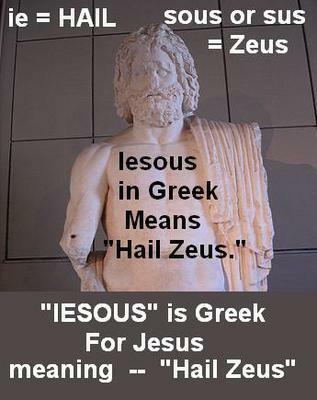 Further, the Greek "Iesus"
that "Jesus" actually means - "Hail Zeus!" For Iesous in Greek IS "Hail Zeus." "Ie" translates as "Hail" and "sous"
-"Yeshua" or "Jesus" -- Which? 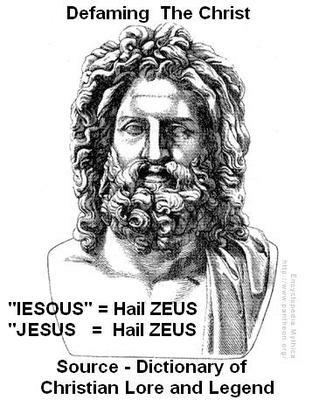 but in Latin it means ‘Hail Zeus’. being called by that name - "Jesus"...."
which are pagan in origin." "research reveals that the name "Jesus"
is linked to the Greek Sun-god "Zeus" "
Jewishness from the new church. easier for the pagans to become Christians. Him top priority in the worship hierarchy." or Zeus as their saviour." He was also known as Jahshuwah the Messiah. and called Him (IESOUS-Jesus) instead." to the name of the supreme deity, Zeus." "Zeus the Saviour. 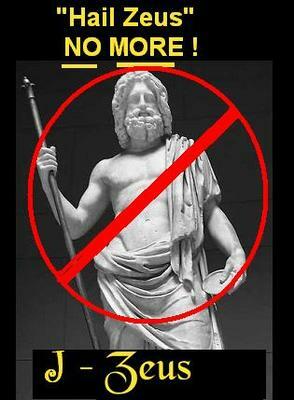 . ."
HAIL ZEUS - NO MORE ! The time of ignorance is over. Name of Christ - "Jehoshua"
must address him in an honorable way. no longer permit his name to be dishonored. (or Jehoshua) - the Son of Jahwah (Jehovah). - the Son of Jahwah (Jehovah), by His own name." that the disciples used.. This is a fact. " translated into English as “Joshua (or Jehoshua)” "
common Hebrew name Joshua (or Jehoshua)." as the name to be borne by the Messiah.."
by Dr. W.F. Wilkinson, M.A. of Jehovah will be saved.”’"
of Jehovah will be saved.'" "Only (Jehoshua) has the power to save! "There is salvation in no one else! calling upon Jehovah's name as well. is Jahshuwah, the Son of Jahwah (Jehovah). the Son of Jahwah (Jehovah), by His own name." in the name of Jehovah..."
Blessed is he that comes in Jehovah’s name!" branches of palm trees and went out to meet him. And they began to shout: “Save, we pray you! means 'Jehovah is Salvation'. "